When you choose CEI Exhibitions as your exhibitions designers in UK, we will provide you with a seamless, hassle free and high quality service that you can rely on and trust. What makes us stand out is our innovative design, our ability to combine traditional techniques with the latest software to provide you 3D plans, so you can ensure you are completely happy before we start the fabrication process. Our team work seamlessly, paying close attention to all the details to ensure that they meet your brief and budget at all times. Our exhibition designers will work alongside your dedicated project manager, who will keep you updated every step of the process from the initial design of the exhibition stand build, to the delivery and set up of your booth at any event anywhere in the world. We have an experienced and qualified team of exhibitions designers who have years of knowledge and experience in the event and exhibition industry. 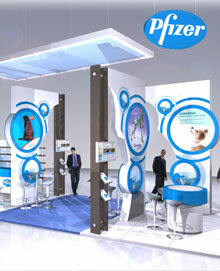 Our designers focus on providing you with an innovative, creative and engaging stand design. As exhibition stand builders, we want to ensure that you achieve success and a return on your investment, which is why we build to the highest quality to provide you with a stand that you can be proud of and epitomises your brand values and objectives for the show. Whether you would like an exhibition quote, ask a question or get some essential advice relating to exhibition stand design, feel free to contact our team.